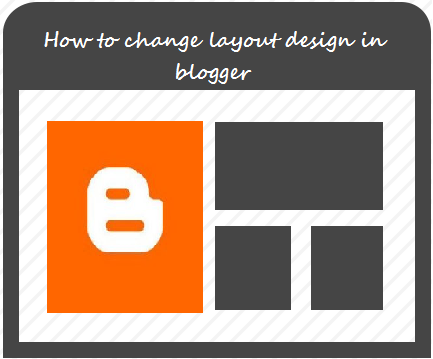 How to change layout design in blogger, blogging, blogging tutorials for beginners, Learn blogging, how to customize blog settings, how to add gadgets in left side of blog, layout option in blogger, how to change layout style of blog, 101Helper blogging tutorials. In blogger, layout in an option which lets you to add any gadget in your blog or lets you to edit any existing gadget. When a new blog is created it has the default layout style in which blog post(content) exists in middle and is surrounded by gadgets but blogger lets you to change it. Why do you need to change your blog's layout design? there are many reasons for changing layout style like if you are adding a vertical menu in your blog and you wish to add it in left side then you need a space for it and you can get that space only if you change style of your layout other reasons are if you wish your content on right hand side and gadgets on left hand side then you need to change your blog layout and so on. Step 1: First of all go to blogger and log-in to your blogger account. Step 2: Select template option and click on customize. Step 3: Click on layout in the customization page. Step 4: If you want to change body layout of your blog select it, there are eight different styles choose the one which you like, beside body layout there is footer layout if you want to change your blog's footer layout also choose one among three different styles and move to step 5. Step 5: Click on apply to blog at top right of the customization page. You can change both body layout and footer layout of your blog, there are 8 styles for body layout and 3 styles for footer layout in blogger as shown in above image. Simply follow above steps and you are done! Thank you for visiting 101Helper. I hope you like this post, if you have any problem, suggestion or opinion leave a comment below. Follow and subscribe to get instant news about blogging, blogger tips, tricks, gadgets, menus, tutorials etc. Share this post with others if you like it. Search tags: How to change layout design in blogger, blogging, blogging tutorials for beginners, Learn blogging, how to customize blog settings, how to add gadgets in left side of blog, layout option in blogger, how to change layout style of blog, 101Helper blogging tutorials.